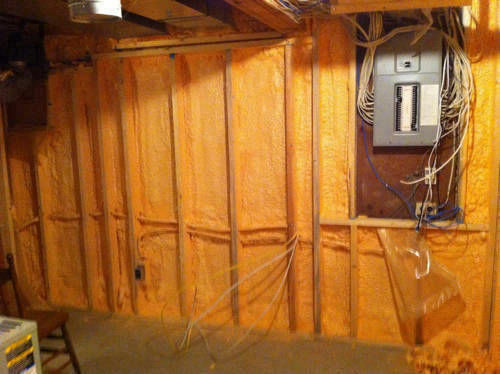 Spray Foam Insulation For Basements. Red River Spray-On Ltd. Pick the date and time along with your contact info and your appointment is scheduled, it's that simple. We will let you know if your project qualifies for any Residential or Commercial Manitoba Hydro Rebates and yes we do all the paperwork. The most important thing about finishing your basement is to insure that it's insulated properly, or you are just going to create the perfect environment for mould and mildew to thrive. Exposure to mould and mildew can lead to health problems - not the kind of thing you want your family exposed to. 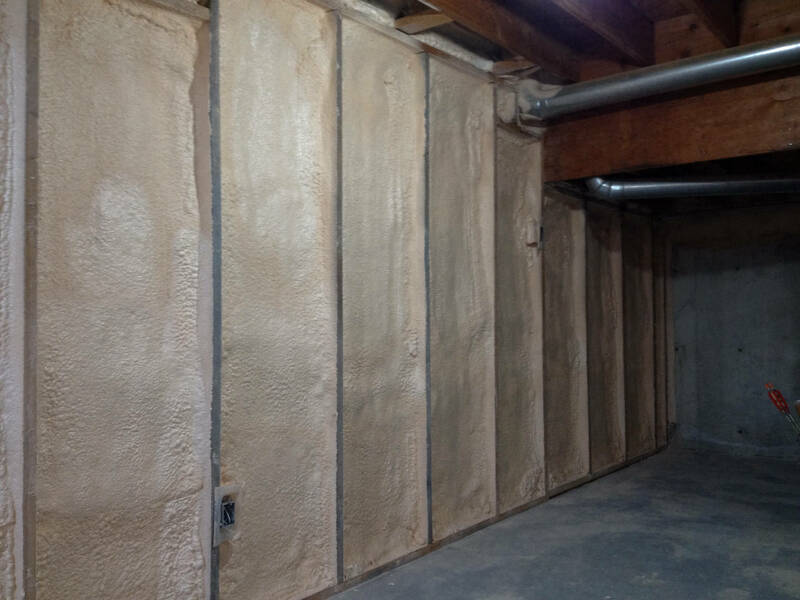 Once you finish your basement warm air from inside your nice new drywall will migrate behind the wall and come in to contact with the foundation walls behind the batt insulation. What you need is a system that prevents warm air from coming in contact with the cold concrete wall. Think of a cooler on a picnic in the middle of a hot summer day, that white Styrofoam insulation keeps everything cold inside, with no condensation on the outside, now open the cooler and pull out a cold beer and in no time moisture starts to form on the bottle. Glass, Metal, Concrete, these products that are highly conductive and if certain conditions are met will have moisture build up on their surface. The goal with basement walls is to use a product that will 100% separate the cold concrete from the warm living space. Spray Foam is the best possible insulation material for this unique area. 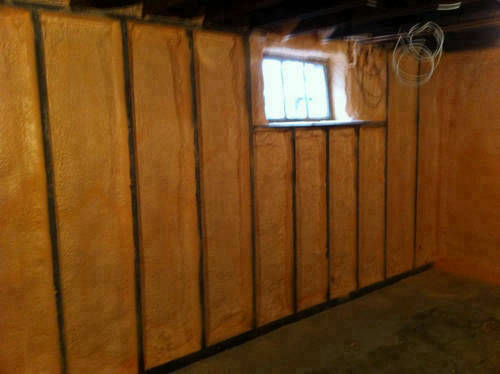 Closed cell spray foam is perfect for locking out moisture laden air that inherently wants to migrate from your basement living space to behind your wall. There are two basic types of spray foam insulation: Open Cell and Closed Cell. Open cell is softer and lighter and incorporates air for the insulator. It's less costly than Closed cell and has half the Rvalue when compared with closed cell foam. Open cell foam will also retain moisture if it gets wet which in a basement is definitely something you want to stay away from. Open cell foam will require the use a separate poly vapour barrier-just like batt insulation. At Red River Spray-On Ltd. we do not spray open cell foam. Your message has been sent. We will reply shorty. © 2019 -Red River Spray-On Ltd.